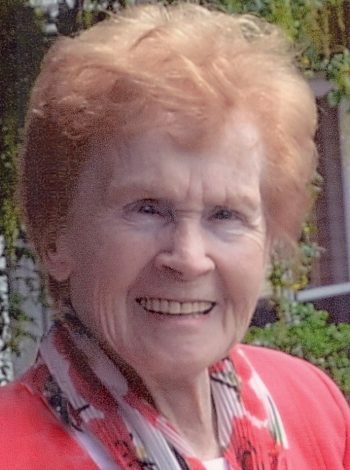 Snow, Phyllis Jean (Coultas) – Passed peacefully away at St. Clare’s Mercy Hospital on Monday, July 17th, 2017 at the age of 100 years. Predeceased by two sons, Noel Warren and Ian Charles; her husband Henry Charles. Leaving to mourn her daughter, Diane Bishop and husband Robert; daughter-in-law Lucie Snow; grandchildren: Heather Bishop (Brian Gill), Janet Bishop (Cecil King), Neil Bishop, Gregory Snow (Narda), Michelle Minor (Michael) and Kristine Snow; great-grandchildren: Tyler Snow, Olivia, Zachary and Charlie Minor and Chantel Gill; special neighbours: nephew Bill Coultas and wife Frances Ennis and Kenneth Meadus; also many nieces, nephews, other relatives and friends. Resting at Carnell’s Funeral Home, 329 Freshwater Road from 2-4 and 7-9 p.m. on Wednesday, July 19th. Funeral service to take place on Thursday, July 20th, 2017 at 11:00 a.m. from St. Mary the Virgin Anglican Church, Craigmiller Avenue. Interment to follow in the Anglican Cemetery, Kenmount Road. Flowers gratefully accepted or donations in her memory may be made to a charity of one’s choice. To send a message of condolence or sign the memorial guest book, please visit www.carnells.com. I am so sorry for your loss. She was a wonderful Nan – even to grandchildren that weren’t hers. She showed such kindness and love to me always. She was the life of every room and always wore a smile. I was so happy to see her at her big bash. And how wonderful it was. You are in my heart today. Diane and family; I was so sad to read of your mom’s passing; but how wonderful to have had her for so long. I have many wonderful memories of her at The London with my nan Billy (Ethel) Williams – she always had a smile and kind things to say and always had a treat for me as a child. I guess she is the last of the girls at The London; many weekends I drove nan to the Southside with your mom and dad for a game of cards and I guess refreshments; she loved to go to see Phil and Charl. I am sure they are all together again but it do make my heart sad. Take care and love. Diane , Robert and family. So very sad to hear of Mrs. Snows passing. Nicholas and I were speaking of her just recently on his last trip home and we chatted about the days when I first met her and Charl at the cabin at Ocean Pond. She was an absolute delight with a wonderful smile, a great sense of humor and such a kind and gentle lady. On behalf of my wife Ingrid and I, our condolences to all. My sincere sympathy on the loss of your mother. You were fortunate to have her around for so long and will miss her presence. Thoughts and prayers for you and yours. Diane and family. So sorry to hear of your mother’s passing. I have many lovely memories of her up at Ocean Pond. To Diane and family: I was sorry to hear of your mom’s passing. She leaves behind beautiful memories for all of us fortunate enough to have known her. I have many fond memories of your Mother from my years at Ocean Pond. She was beautiful both inside and out. My thoughts and prayers are with you all. I have beautiful memories of Mrs. Snow, when I would go shopping with my mother as a child at The London New York & Paris. Mrs. Snow always had a beautiful smile and she was the best in giving service to all her customers to see that they were happy with their purchase. Years after I met Mrs Snow and bless her heart she remembered me and our mother. May your family cherish all the beautiful memories. You were our anchor and inspiration. We will all miss you so much. To Diane and family: Our hearts share in your loss. Lucie, Greg, Narda, Tyler, Kristine, Michelle, Michael, Olivia, Zachary and Charles. Love you Aunt Phill….rest in peace.